Whenever girls go out the first thing they ask their friends is what to wear. Heading to a wine dinner pairing with the girls, what should I wear? Well, I am no different and I am so grateful to have a friend who not only knows what outfit I should wear to a certain event but also what is currently in style. Mallory is my go-to friend when it comes to ANY fashion question and trust me there are a lot. Mallory is owner of Image Success by Mallory, she can help with everything from a shopping trip to revamp your wardrobe to going through your closet and helping you get rid of that pair of pants that will never fit again. A couple weeks ago we decided to explore the numerous boutiques in Geneva to find the perfect outfits to pair with the wine I bought on a recent road trip down the I-80 Wine Trail. Check out some of our pairings. Recently I took a bus trip with the crew at High Five Adventure, naturally I had to call Mallory to see what I should wear. When you are planning on spending a good amount of time traveling on a bus it is important to be dressed comfortably but you also want something that is nice for when you are at the wineries. It is also important to be prepared with something to drink on the trip, so check out our pairings. Countryside Vines & Wines in Exira, Iowa. This wine is similar to a German Riesling so the girls will love to share it with you on the trip. There are so many wine festivals to attend during the summer and early fall. My favorite is Vintage Illinois Wine Festival in Utica during September. While there is no need to bring wine with you it is important to know what outfit to wear as you sample the many wines available for purchase. This outfit and event pairs perfectly with any wine you pick-up at the festival. I am pairing this outfit with a bottle of wine I picked up at Wide River Winery, the Pursuit of Happiness. I love throwing parties at my house and one of my favorites happens to be a Wine & Cheese Pairing Party. There are so many ways to do a Wine & Cheese Pairing but I tend to throw parties where I provide everything and my friends just get to come over to enjoy themselves. This one is a little dressier just in case the ladies decide they want to go out afterwards. This outfit and event pairs great with the Cabernet Zinfandel from Cooper’s Hawk Winery. Most of my friends like to drink white wine so I always bring this bottle with me to parties to introduce them to something new. This wine also pairs great with almost all cheeses so it is an instant crowd pleaser. *If you need help planning a wine & cheese pairing then check out my blog post on doing just that! I cannot tell you how many times I am invited over to a friend’s house for a wine dinner pairing and I am completely stumped on what to wear. I know I want to bring a wine that everyone can enjoy with food so I normally stick with a red. But what should I wear? 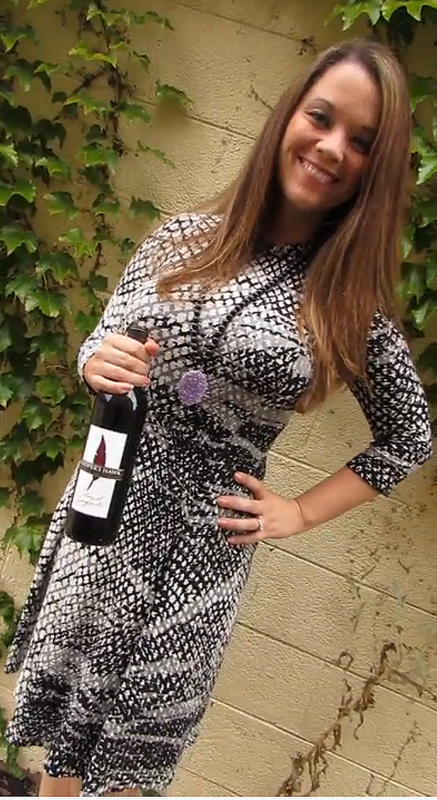 This outfit and event pairs perfectly with a Cabernet Zinfandel from Cooper’s Hawk Winery. The black pepper taste you get from the finish of the wine will pair nicely with most red meat entrees. If the hostess does not need an extra wine to pair with the entree then it makes a great thank you gift for the hosts. This entry was posted in Date Night, Traveling on Thursday, Wine Down Wednesday and tagged Fashion, Illinois wine, Iowa Wine, What to Wear, wine, wine dinner, wine down Wednesday, wine outing. Bookmark the permalink.